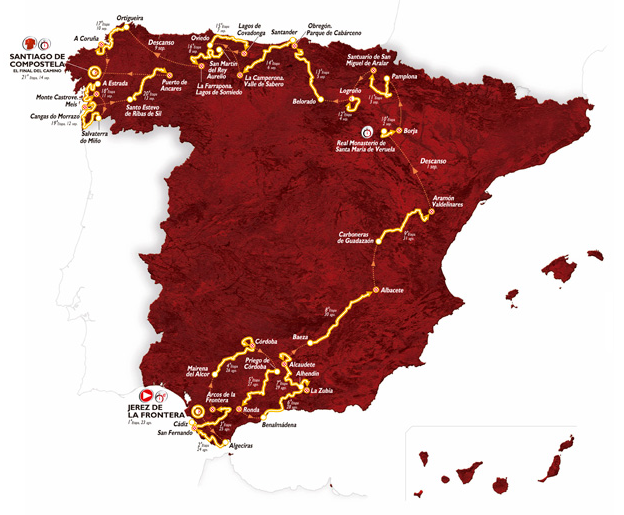 The 2014 Tour of Spain (La Veulta) kicks off on Saturday 23rd August and promises to provide three weeks of action from the very start to the very end. With Nairo Quintana, Chris Froome and Alberto Contador fit and ready to do battle after missing or crashing out of this year’s Tour de France, this looks to be THE Grand Tour of the year. The race is top and tailed with time trials meaning the favourites for the overall podium will have to show themselves early in the opening day’s 12.6km team time trial and hope they can keep form until the final day’s 10km individual time trial. There’s also another 34.5km individual time trial mid way through the race favouring the time trialists but not quite far enough for them to do major damage. What will lead to big time gaps are the eight summit finishes in this year’s race. 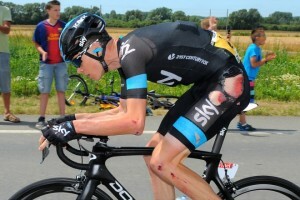 Although this is less than last year it’s still enough for the climbers to shine and gain time on any weaker rivals. There’s no brutally steep climbs like the Angliru this year but the organisers have put in several new finishes which may catch a few out. The Camperona finish of stage 14 is the one new climb to watch as it rears up to 24% in parts in the final three kms. This is the first of three mountainous stages which look to be the hardest part of the race so expect to see the leaders duke it out over these three days before the race’s second rest day. 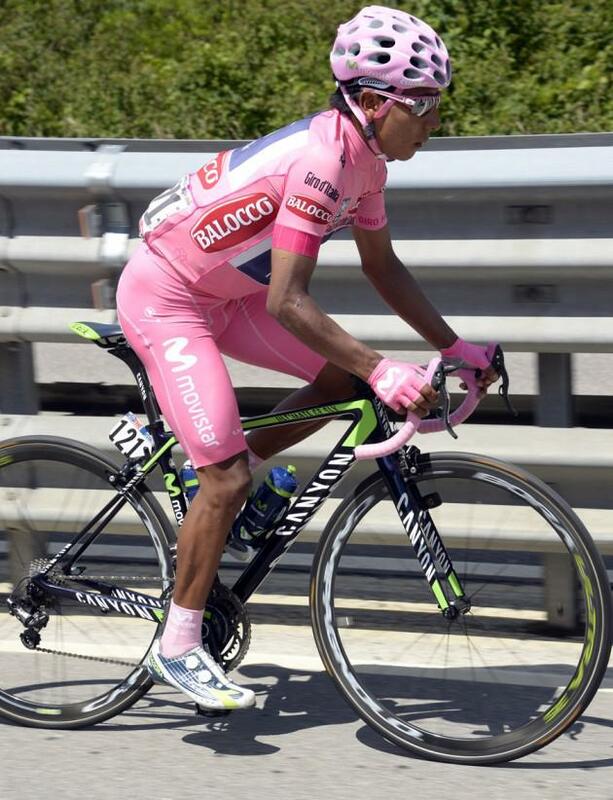 This year’s Giro d’Italia winner Nairo Quintana (Movistar), probably still smarting from not being allowed to ride the Tour de France, will have a strong squad behind him and being a Spanish team they will be all out to help their man win the home event. He’s well rested since winning in Italy in May so looks to be favourite for this one. Can he win two Grand Tours in the same year? Chris Froome (Sky) crashed out of the Tour de France with broken bones in each hand but is back and hoping he hasn’t lost too much form. Winning may be a long shot but you know he’s going to do his best and knows how to handle the pressures of leading a three week tour. He says that he’s riding more to have the miles in his legs for next year but if he feels good it’s going to be interesting to see how he fares against a rested Quintana. Alberto Contador (Tinkoff-Saxo) was another Tour favourite forced to abandon after breaking his leg in a crash but surprised everyone by announcing he is riding the Vuelta but not necessarily to go for the overall. Like Froome, he’s playing down his chances but like Froome was in excellent shape for the Tour and knows how to win so will be interesting to see how he copes. Spaniard Joaquim Rodríguez (Katusha) is starting his third Grand Tour of the year after crashing out of the Giro d’Italia and riding the first half of the Tour de France to get back in shape. He fought well in the second half of the Tour for the King of the Mountains jersey so if he’s rested enough then we’re bound to see him attacking as he always gets extra motivated for his home tour. Apart from overall favourite Chris Froome, Team Sky will be bringing British road race champion Peter Kennaugh to the race and after being overlooked for the Tour de France he won the Tour of Austria to show he is on good form. Sky is also bringing young Welshman Luke Rowe who is proving to be a solid and dependable workhorse and will be great to see him in support of Froome. Irishman Philip Deignan will also be a valuable lieutenant for Froome when the road goes up and let’s not forget he has previously won a stage in the Vuelta so if the opportunity arises he knows what to do for himself. Irishman Dan Martin (Garmin-Sharp) will be hoping for better luck than the Giro where he crashed out on the first stage and if riding well could be a threat to the overall but we suspect he’ll be focusing on stages instead. The prodigious talent that is Adam Yates (Orica-GreenEdge) will be riding his first ever Grand Tour and we can’t wait to see how he gets on. After winning the Tour of Turkey earlier in the year and seeing how well his twin brother Simon rode at the Tour de France, Yates is bound to be itching to do something at the Vuelta despite just turning 22 years old. Polka dot – Climber’s jersey, points are awarded on each climb with steeper or longer climbs earning more points with jersey given to the rider with the highest number of points overall. Tagged tour of spain, vuelta a espana. Bookmark the permalink.